I love Wallpaper. A bit of everything cool in design. 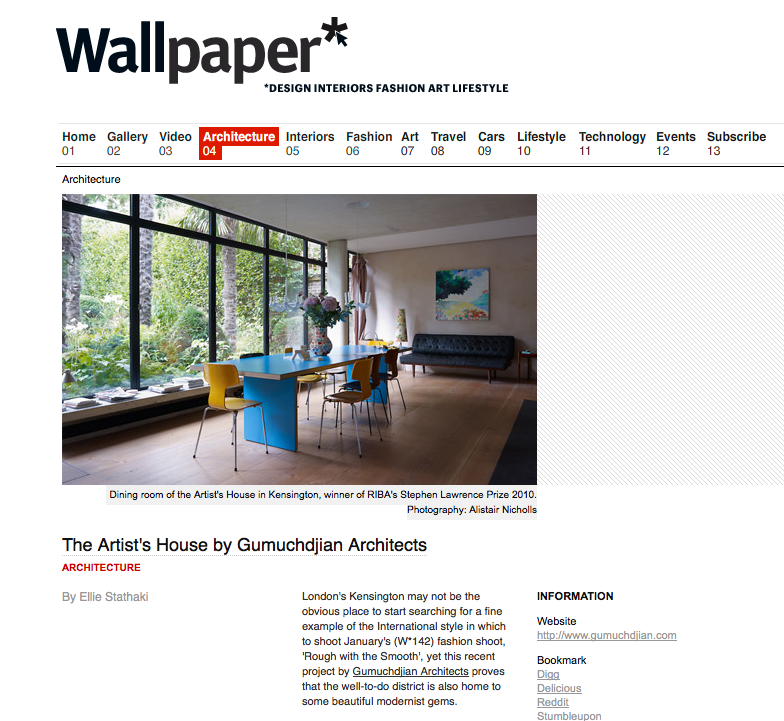 I came across this article on the Artist’s House by Gumuchdjian Architects, taken in September. Take a look and if you have the money, employ these architects!